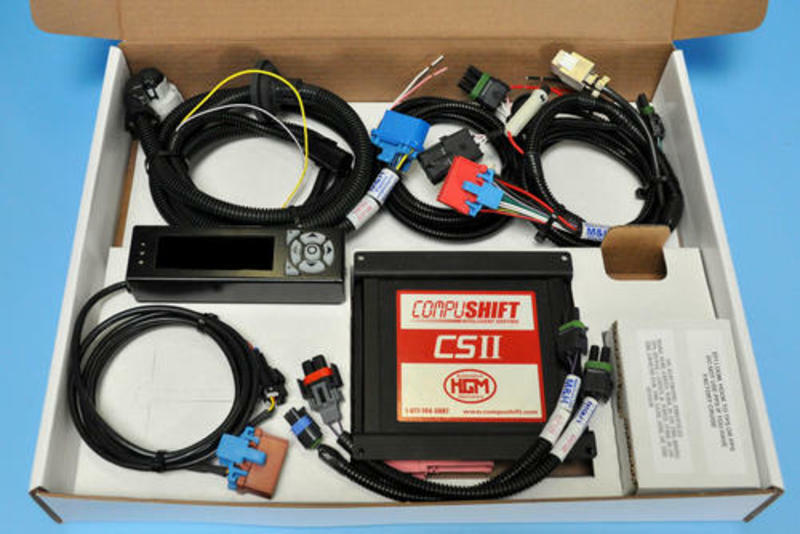 COMPUSHIFT II is the latest generation transmission control system from HGM Automotive Electronics, Inc. COMPUSHIFT II operates automatic shifting, paddle shifting, and torque converter clutch lock-up for a wide variety of transmissions, allowing the owner to customize performance and the driving experience. No laptop is needed to program the COMPUSHIFT II. The system is delivered with versatile factory-set programming for a wide variety of transmission and engine combinations. The kit includes all of the necessary cable harnesses and a handheld display. Purchase this HGM CSII CompuShift Controller for $850 when you purchase a Gearstar electronic transmission. That is a savings of $300.00! !